Calling all William Winsor Families!!! Welcome to our “Wild for Winsor” lawn sign fundraiser. All proceeds raised will go towards our fabulous 5th graders activities this year. Participation is OPEN TO ALL WINSOR FAMILIES, FACULTY AND STAFF. HOW DOES IT WORK? Fill out the attached registration form along with $20 check made out to William Winsor PTO. Once we have created a master list, the Wild for Winsor crew will begin to make our rounds!!! In the dark of night, we will secretly make our way to the addresses registered and decorate one lawn at a time with our wildcat signs!! When the kids wake up in the morning, they will be excited to see their lawns decorated!!! What a great way to show your school spirit and help support our 5th graders! The signs will stay on your lawn all day and will be collected that evening by one of our Wild for Winsor Crew to make their way to another family lawn. 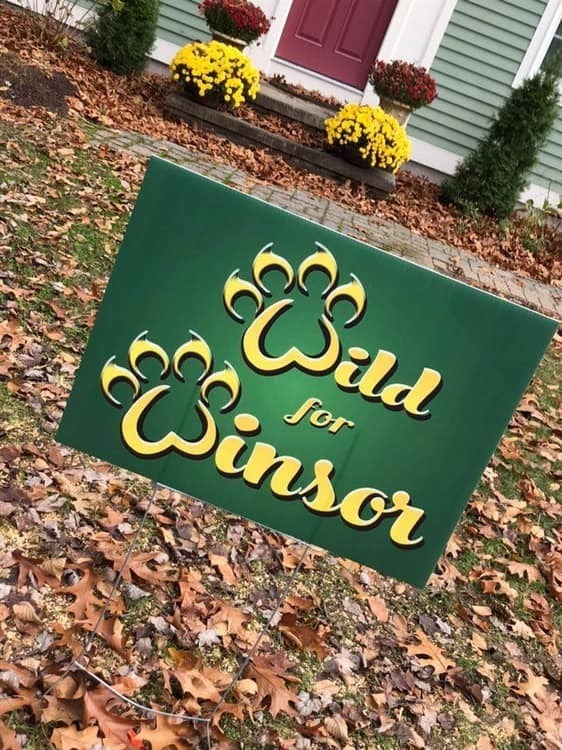 Our Wild for Winsor Crew would love to decorate AS MANY LAWNS with our wildcat signs as we can! We will get through as many on our master list as we can before it gets too cold and the ground freezes but will continue on during Spring if we have enough registrations! The more registrations we receive, the more school spirit we show and the kids have a lot of fun! Let’s help make our 5th graders last year at Winsor a memorable one!